Wasps are classified under hymenoptera group, which all stinging insects belong to. They are highly evolved with a complex social structure revolving around a queen wasp, which is larger than the standard wasp at around 20mm. After hibernating during the winter the queen wasps make their nests in the spring, ready for the worker wasps to hatch in the summer and forage for food up to a mile away from the nest. Each season the queen was will go on to produce more queens, who will then seek to make their own nests nearby, so wasp control is essential to stop the problem getting worse. Wasps generally build their nests inside something; this could be your roof, loft, garden shed or even in the ground. The nests are created using chewed wood and saliva to make a durable papier mache type material that can house up to 30,000 wasps per year! As a widely feared and aggressive pest, wasp infestations can be dangerous to small children, pets and can even produce severe reactions – however they should only be treated if they pose a real risk to public health and safety. Our wasp exterminators at Envirosafe Pest Control Ltd offer you a range of safe and appropriate solutions to help you with wasp control. It is better to treat nests earlier in the year to avoid the increase in numbers and the risk of stinging during treatment. Our trained professionals have access to a range of insecticides which are not publicly available that tackle wasp infestations by treating the nest, even when they are in difficult to access locations. Envirosafe Pest Control Ltd’s professionally trained team will identify the right solution to ensure your home is wasp free. 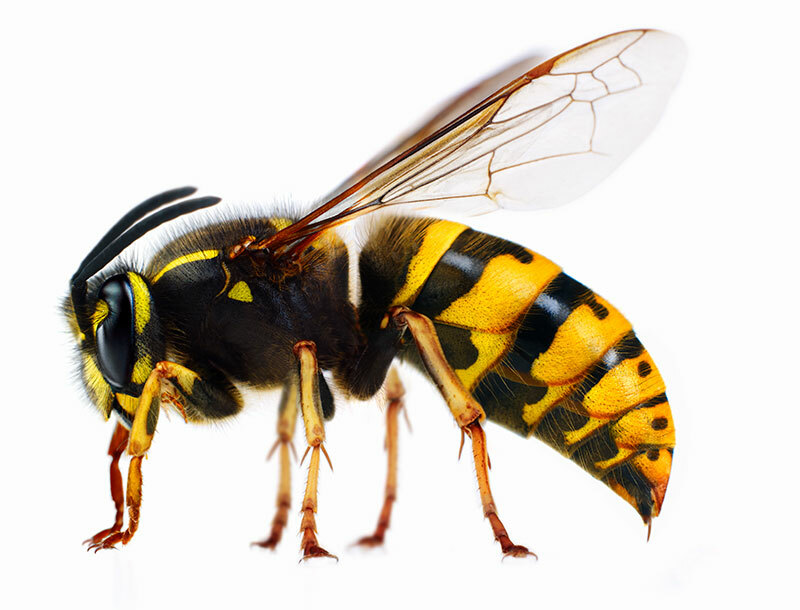 We include a 30 day guarantee with our wasp exterminator services. For full details, please look at our terms and conditions page. For specialised advice regarding wasp treatment, you can get in touch with us using the contact form below.